When the Symbiote took over Eddie Brock to become Venom, it was pregnant, unbeknownst to all parties involved. This child infected Cletus Kasady to become the red and vile villain Marvel fans know as Carnage. If you’re a Spider-Man fan, you’ve probably heard the name before. Carnage is a psychopathic, murderous creature that’s three times as strong as Spider-Man and Venom, making him the ultimate killing machine. In addition to that, Cletus Kasady, the host, was already a murderer, and his hatred only fueled Carnage’s rage. Since Carnage is a fan favorite villain and arguably one of the evilest (and kind of cool?) 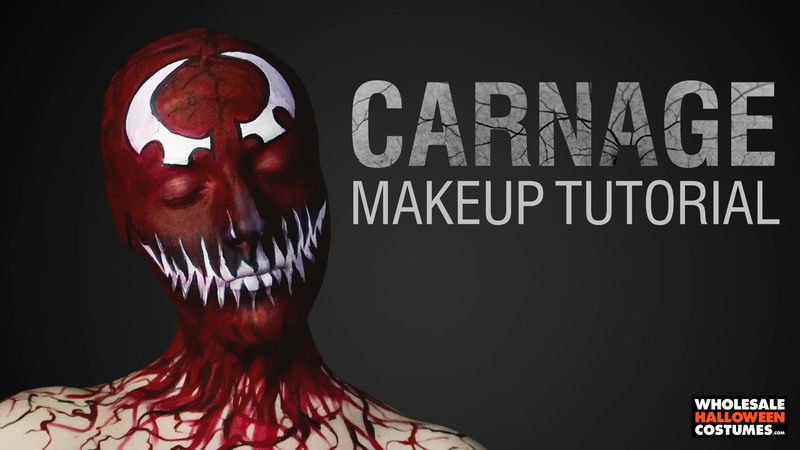 Spider-Man villains of all-time, Wholesale Halloween Costumes partnered up with our longtime pal Catilyn Kreklewich to make this step-by-step tutorial for your very own Carnage makeover! Whether you’re a longtime webhead fan or just came into the spider game with Spider-Man: Homecoming, sit back and enjoy this awesome makeup look! It’s the perfect way to top off any Carnage look for Halloween, or otherwise. 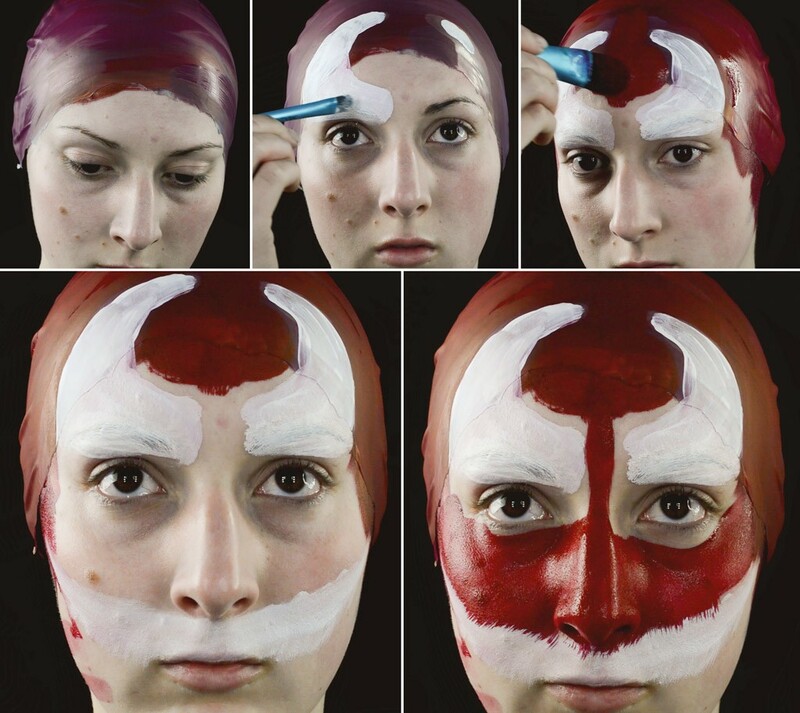 Begin by applying a bald cap according to the package instruction and covering the entire thing with red makeup. Using a photo for reference, paint on Carnage’s white eye shapes. This can be done loosely now you can clean up the edges when the white makeup dries. Also, loosely paint on the shape of the mouth- you will be adding teeth later so keep the shape basic. Start filling in the rest of the exposed skin with red makeup. Bring the makeup down onto the neck. Tidy up the final shape and edges of the eyes using a thin brush and red makeup. That reference image will come in handy. Cover any remaining exposed skin with red and add an extra layer of makeup to ensure full coverage. 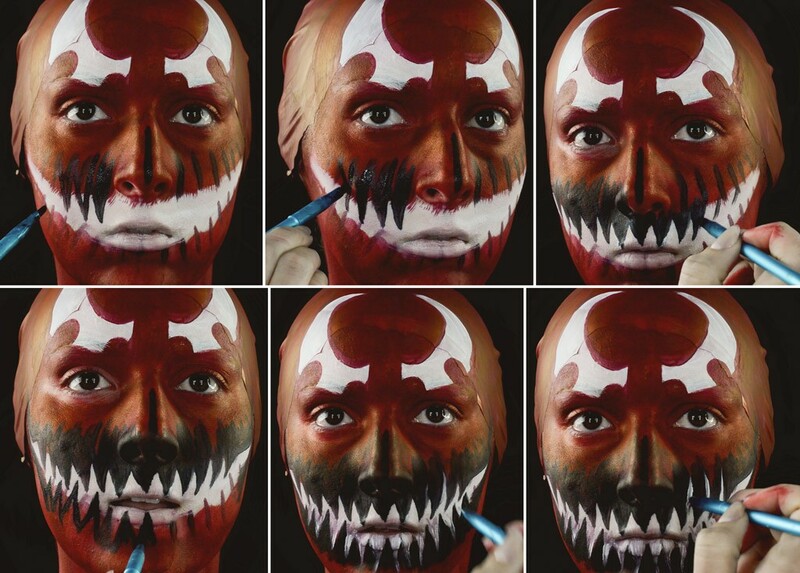 Use that thin brush with black makeup to add the zig-zag pattern around Carnage’s mouth. Make the teeth extra pointy by dragging white makeup up further up onto the cheek and down onto the chin. Extend vein-like red lines from the neck onto the chest. Mix in some dark red (almost black) lines in the same fashion. Continue adding vein-like lines around the head over the red makeup. Finish the look by outlining the eyes with a thick black line. Ready to let a symbiote take control of your life for a while? Tag us in a Carnage selfie on Facebook, Twitter, and Instagram! 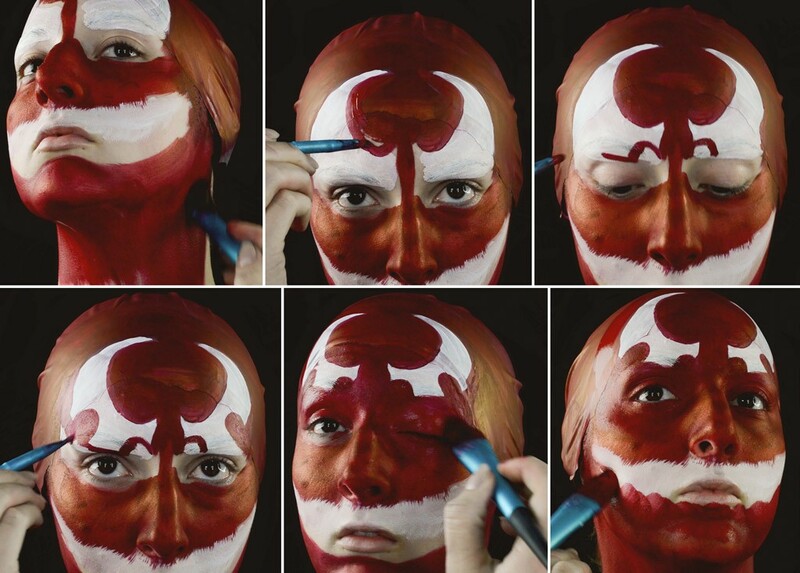 Save this look to your SFX makeup boards on Pinterest!